Asia Pulp & Paper Group (APP) is the third largest pulp and paper producer in the world. APP invested upwards of $120m in sustainability in the three years after it launched its Forest Conservation Policy (FCP) in 2013, which included a bold pledge to cease all natural forest clearance. As of March 2017, 447 companies had made 760 commitments to curb forest destruction in supply chains ranging from palm oil, soy, timber, pulp and cattle. At the same time, the 2015 Paris Climate Agreement saw 80% of the 196 signatories committed to halting deforestation and better managing forest and agricultural landscapes. Despite this, the World Resources Institute reported that global tree cover loss accelerated by 51%, resulting in the loss of an area the size of New Zealand. This is not the right course on the path to zero deforestation by 2020 or even 2030. Forests cover almost one-third of the world’s land area and over one billion people rely on them for their livelihoods. The state of our forests is critical and we must rethink how to protect them. This includes a focus on ending past practices of pitting forests against crops and people against plants, so more integrated solutions become the norm rather than the exception. 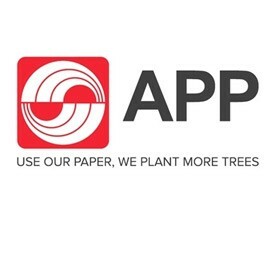 Asia Pulp and Paper Group (APP), one of the world's largest pulp and paper companies, has learned through its own journey over the last five years that ending deforestation takes a transformation in the way we do business. Two key areas can help accelerate us all on the course to reach zero deforestation: enhancing collaboration to combine areas of expertise and harnessing the latest development in data-centric, remote sensing technologies. It’s obvious from the range of commitments and declarations that both governments and companies share similar objectives with NGOs and experts regarding ending deforestation, but they have often approached each other as adversaries rather than partners. This needs to change if we are to tackle the issue of reducing forest loss effectively. Deeper coordination among all levels of stakeholders is necessary to identify opportunities for collaboration and catalyse effective action. We’ve seen encouraging examples from Brazil to the Congo as well as in Indonesia which effectively build on the strengths of each stakeholder to pursue production while ensuring protection. Unilever proves to be a valuable case study, particularly as it pursues jurisdictional approaches involving thousands of stakeholders. The company’s memorandum of understanding (MoU) with the provincial government of Central Kalimantan, the district government of Kotawaringin Barat, local NGO InovasiBumi (INOBU), other palm companies, NGOs and smallholders is a great example of how to address deforestation for the long-term by combining the strengths of various stakeholders from culture to agronomics. One of the reasons collaboration is the exception rather than the norm is because it can be hard work – particularly in places like Indonesia with remote forests across vast distances and a wide range of cultural and agronomic variability. Collaboration is also the only way that we will be effective as no one stakeholder has the answers or power to solve this issue. Organisations should feel empowered to seek out their greatest critics while still involving their traditional allies to combine ideas from across the spectrum. For example, through critiques from the NGOs, companies can identify shortcomings via supplier assessment tools in order to involve more stakeholders in the process of vetting potential suppliers. This is the idea of the village – we need all eyes and ears deployed if we are to ever reach a state of zero deforestation. Some might think of forestry as an old-fashioned industry, but it is being transformed by technology – particularly its monitoring systems. Satellite technology and global platforms like Google Earth or Global Forest Watch now enable each and every person to engage in forest monitoring from their home computer. Even in the most remote locations, forest cover change can be detected, and ground patrols can be sent to address the issues. A total of 90% of all accessible data on Earth was produced in the last two years alone. By using technology to both capture much larger sources of data that we’ve ever had available and also to target human/physical resources to complement technology, organisations can be exponentially more effective at reaching shared objectives related to minimising third-party encroachment. In APP’s experience, the employment of satellite technology combined with targeting ground verification and patrols over the last year has enabled the organisation to reduce its forest cover change to 0.1%, compared to 5% two years prior. While the technology continues to develop, its true value once again resides in how multiple stakeholders can apply their individual expertise to the new technology available to take real, data-driven action with the goal of reducing that 0.1% down to zero.